Rejoice, for our empress of everything the light touches has returned to the art form that gave us The Women of Brewster Place. Yes, minions: Oprah has returned to scripted television. Queen O will appear on a melodrama called Greenleaf...on the network she owns (OWNs?). Described by as a “megachurch drama,” the trailer sort of looks like what would happen if you mated Empire with August: Osage County, plus stadium seating, pulpits, and MISDEEDS. So many misdeeds, guys. And also probably murder. If you can say “sidepiece” with campy conviction and emphasis, you have me at your mercy. Besides that, the line-up for the show looks pretty ace, with what looks like an almost all POC cast which also stars Keith David and Lynn Whitfield in addition to Dandridge. 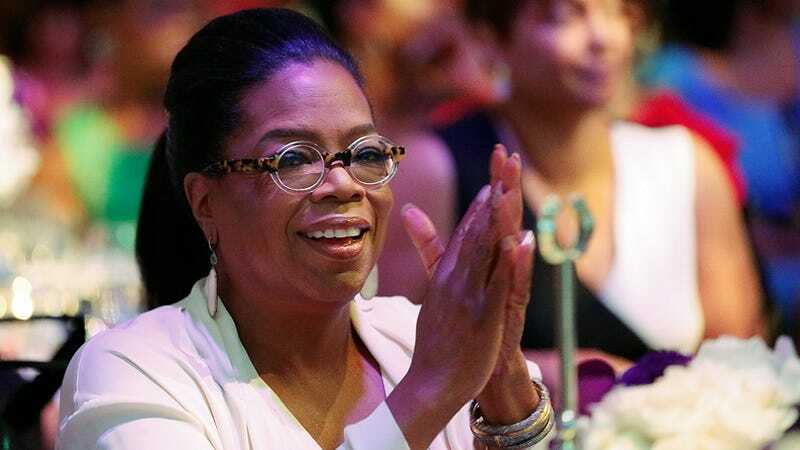 Oprah is set to play Grace’s Aunt Mavis, and presumably you’ll be able to see her return to the scripted screen when Greenleaf premieres on Tuesday, June 21 and Wednesday, June 22. If the person who owns your network is appearing on your show, you better bet that the premiere takes two nights, not one. Did I mention Oprah’s also one of the executive producers? She’s also one of the executive producers. Do what you will, but I am most definitely into this, especially since I imagine Oprah being like, “I’m just gonna pop in whenever I feel like it. Because I can.” Perfection, dear readers, perfection.